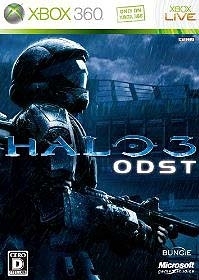 "Time for the ODSTs to shine." 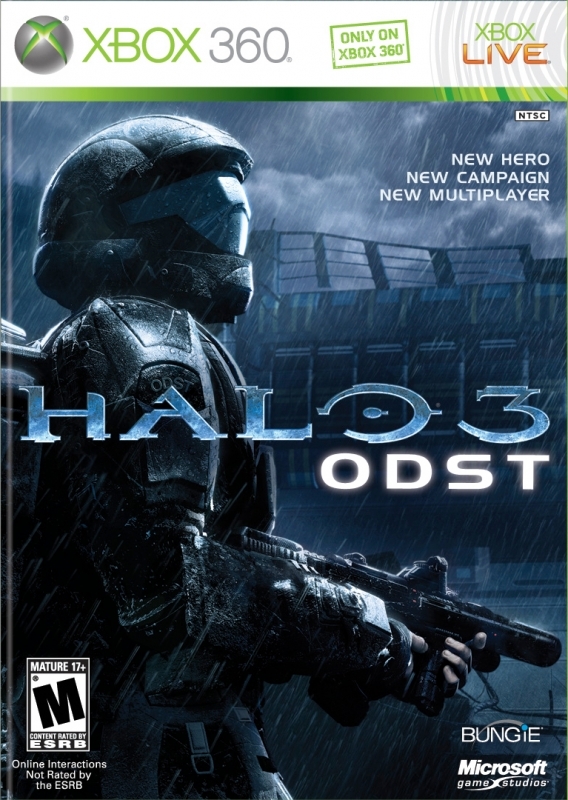 Developed exclusively for Xbox 360 by acclaimed developer Bungie, “Halo 3: ODST” is a stand-alone expansion that extends the award-winning “Halo 3” experience with hours of new campaign and multiplayer gameplay. 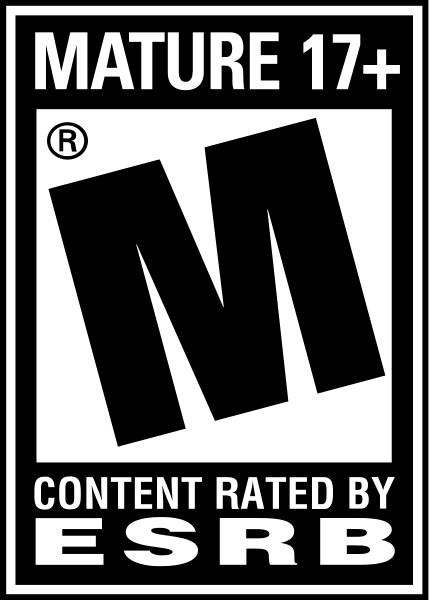 * The release adds a new dimension to an all-encompassing universe that gamers around the world have known and loved for more than six years. 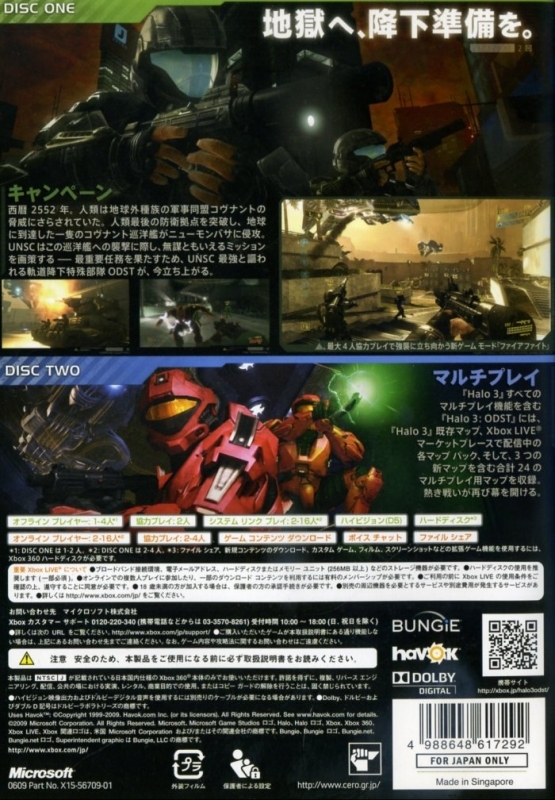 The new campaign chapter predates the events that unfold in “Halo 3” and gives players a new perspective through the eyes of a new hero in the “Halo” universe. 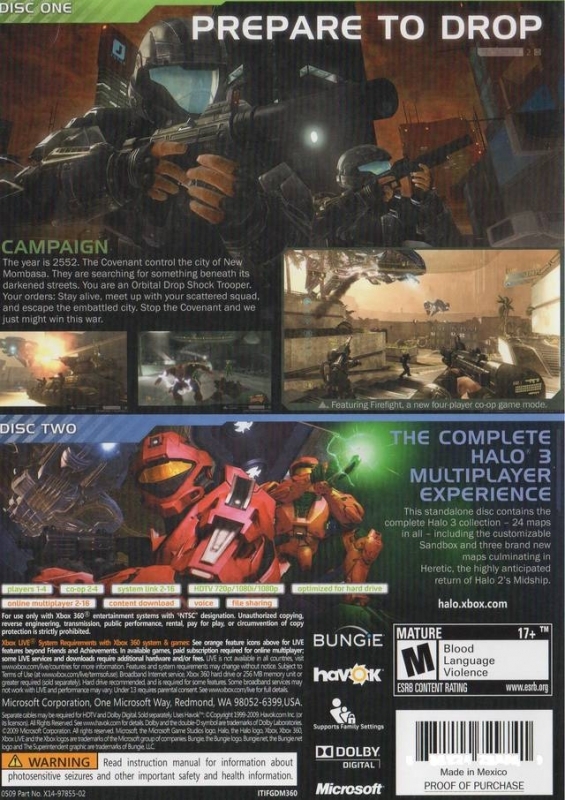 New multiplayer maps ensure that the award-winning Xbox LIVE experience of “Halo 3” continues to thrive. 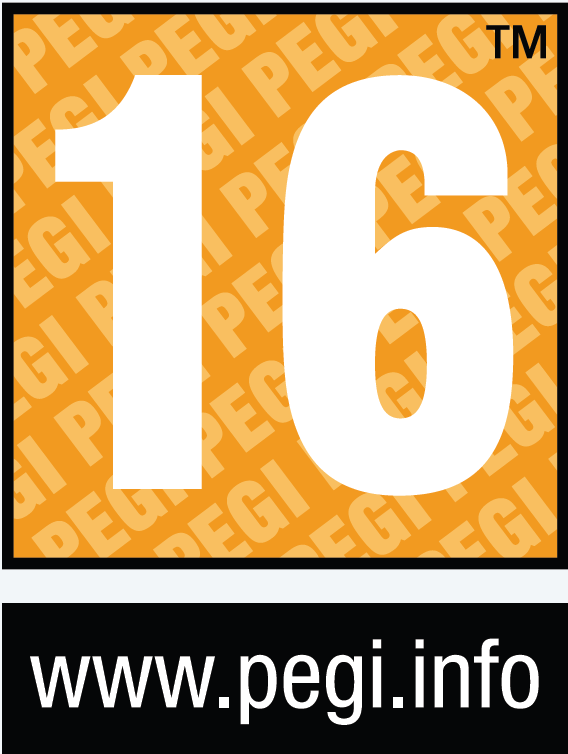 • All-new campaign content. 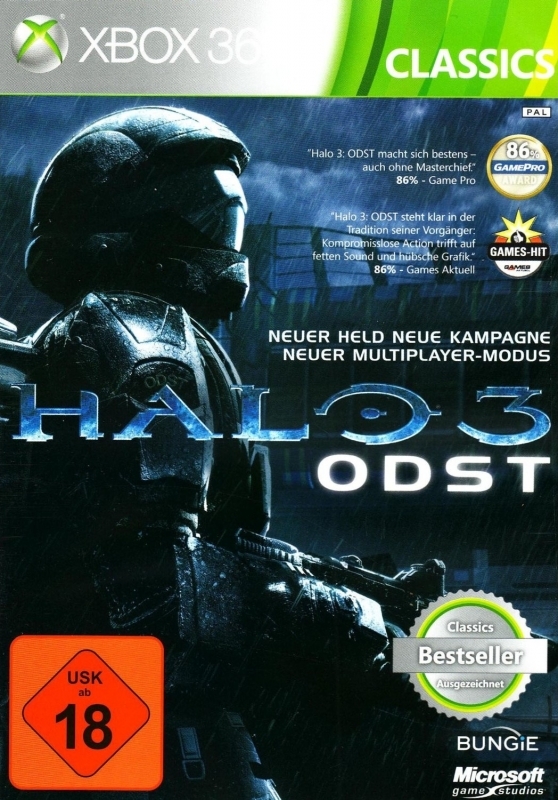 The “Halo 3: ODST” campaign is an intriguing side story that takes place during the terrifying events leading up to the Master Chief’s return to New Mombasa in “Halo 3.” Experience the fate of Earth from the brand-new perspective of a special forces ODST (Orbital Drop Shock Trooper), adding a unique outlook and new gameplay elements to the events that unfold in the trilogy’s finale. 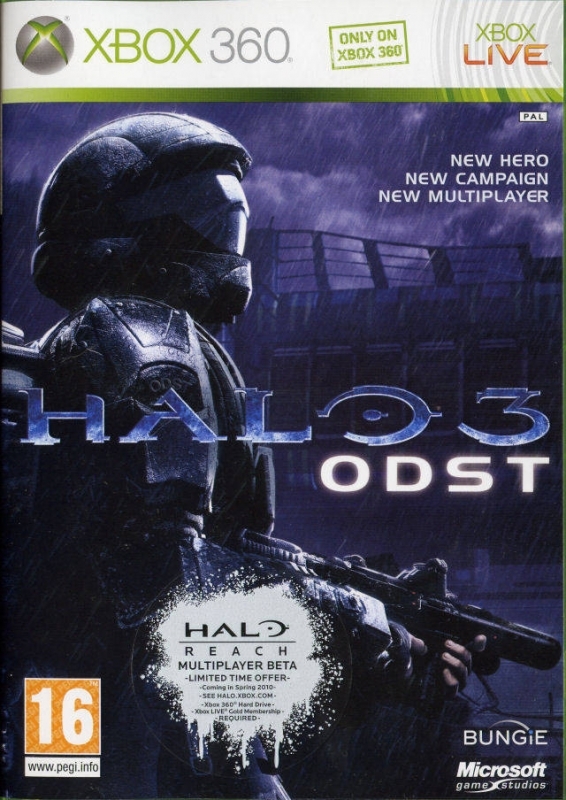 While the feel of this new chapter will greatly resemble that of previous “Halo” experiences, “Halo 3: ODST” will require players to employ more elements of stealth and cunning than ever before. 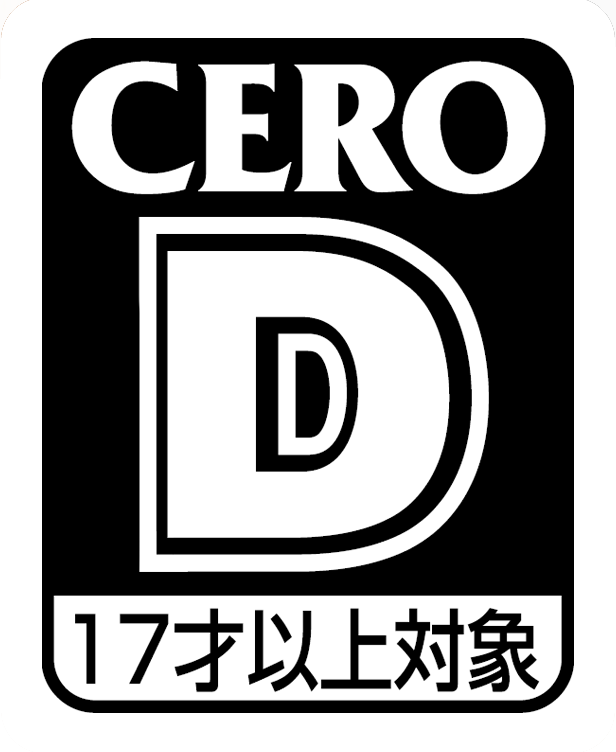 • A new hero: Prepare to drop. Known for their courage, valor and, at times, insanity, ODSTs are among the fiercest UNSC soldiers, priding themselves on being the first unit deployed into hostile situations. While not as large or supernaturally gifted as their Spartan comrades, these “Hell Jumpers” more than compensate with their ferocious attitudes and unwavering nerve. • Ever-growing community options. 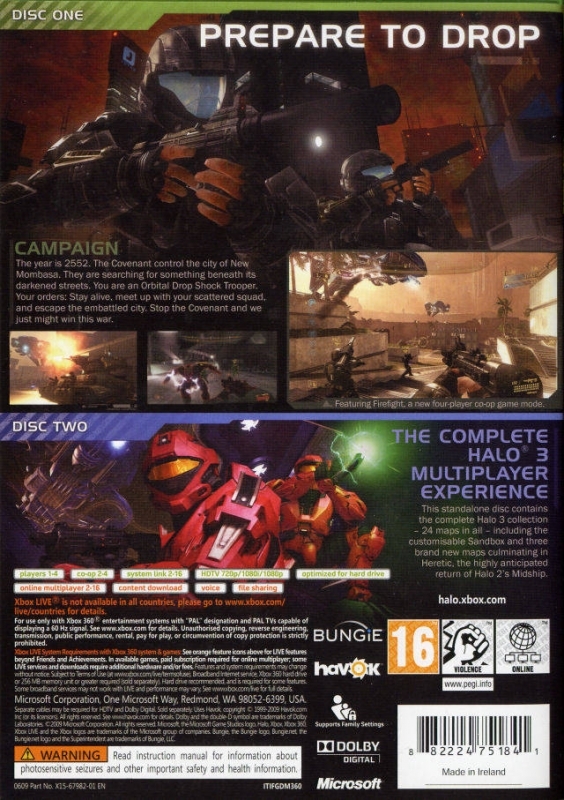 Players will continue to enjoy all the great “Halo 3” technological innovations, including Saved Films, screenshots, Campaign Scoring and four-player co-op. All of the new multiplayer maps fully support the Forge editor, offering endless gameplay customization possibilities for fans. Official fact sheet from Microsoft. $6.99 at Game Traders, this is a bargain!! 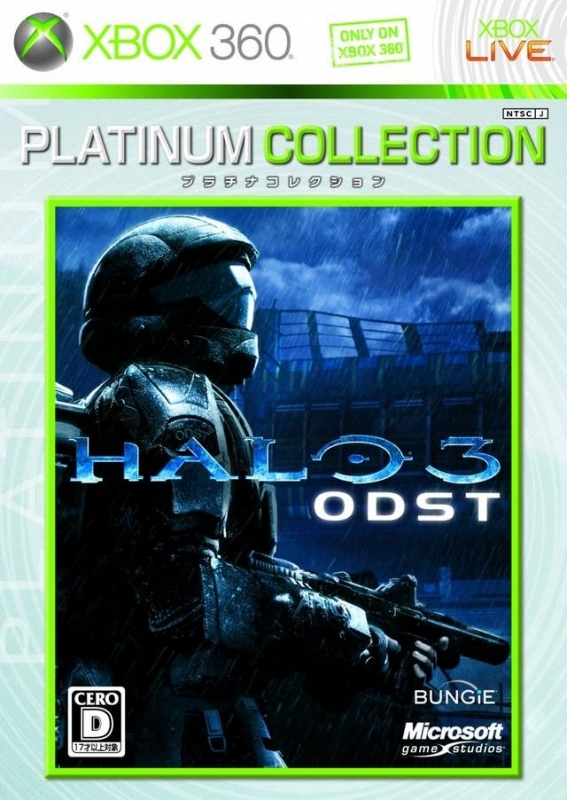 Most underrated game in the series. 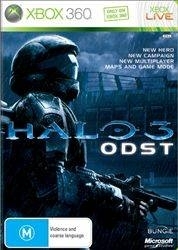 If it had multiplayer it would have been an instant classic. In my opinion, it's the best campaign in the series. 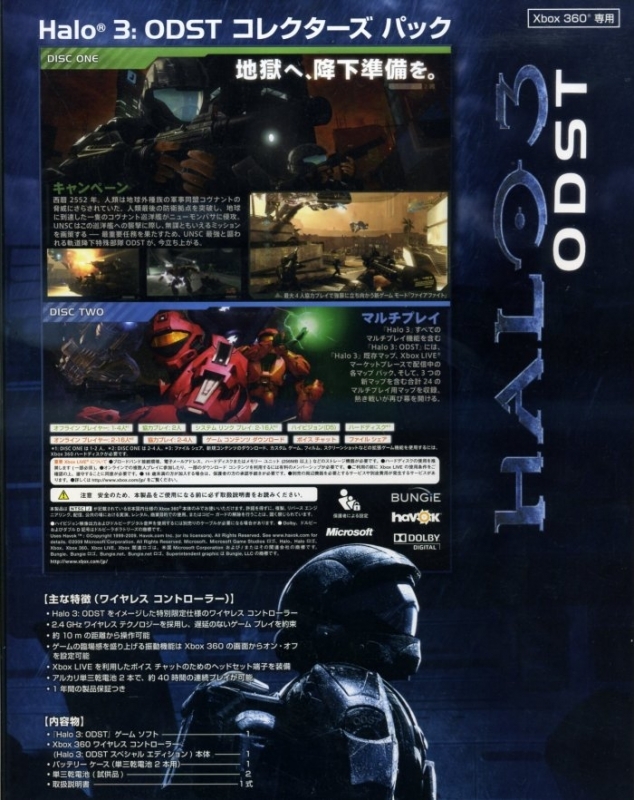 my favorite halo campaign. also probably one of the hardest on legendary. 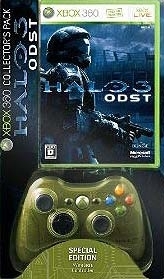 It was an okay halo game, first week sales are impressive!!! !